My experiences during a decade as Director of the Oxford Management Centre in the 1970s made me realize that there was an underlying contradiction in the way that the Centre was run. Oxford colleges are run by their Fellows and the Head of the House (by whatever name the Head is known – Master, Warden, Principal) reflecting the governance of the monastic institutions from which the colleges derived. The Management Centre, on the other hand, was run like a company, which it was. But the academic standards set for the Fellows were those of an Oxford college, as Sir Norman Chester, Warden of Nuffield College and Chairman of the Management Centre’s board of directors (its Council), was frequently at pains to point out. Power over the Centre’s strategy lay with the Chairman and that Council, not with the Centre’s Director or the Fellows. The Chairman and his Council wielded power over the finances, and the hiring and firing of academic staff. The Council was made up of senior Oxford academics and influential businessmen, and had more members than the teaching staff. The problem was that the Chairman and the other board members, both the businessmen and the Oxford academics alike, had no experience of management education. They did not know the subject, they were unaware of the market, and ignorant of the competition: whereas the Director and Fellows, who did know, were subject to the whims of that governing body. Moreover, I came to realize that members of the Council often acted personally and politically in Council meetings, sometimes with prejudice and personal passion. This was not the analytical and rational management decision making we were teaching at the Management Centre. Eventually, Chester was replaced as Chairman by a businessman, who had also been the benefactor of the Centre. He did not agree with my strategy of focusing the Centre’s work on top management and fired me. ‘Every man has his price,’ he said. Mine was a five year research fellowship at Nuffield College to research whatever I wanted, with a tiny teaching commitment and no administration – an opportunity seldom available at the professorial level. It occurred to me that the experience of board level activities at the Management Centre was probably the case at the top in many organizations. What went on in boardrooms was not management. It involved the exercise of power. It was a personal and political process. This activity, which could be called governance, was different from management. Governance involved formulating strategy, setting policy, supervising management, and being accountable overall. Management runs the enterprise, but the governing body ensures that it is being run well and in the right direction. This awareness was reinforced by a study on audit committees for British boards that I had already done for accountancy firm Deloitte, Haskins and Sells. My Research Fellowship provided the perfect opportunity to explore board level processes in depth. I formed a trust, called the Corporate Policy Group, as a focus for the project. In retrospect, I should have called it the Corporate Governance Group, but the phrase ‘corporate governance’ was not then in use and the concept was not understood. When I contributed the management topics to Alan Bullock’s Dictionary of Modern Thought in 1977, there was an entry for ‘corporate strategy’ but not for ‘corporate governance.’ It would be different today. High-flying aims, but remember it was written in 1979. The Group had no researchers, other than me, but quickly became a network of scholars, company chairmen, CEOs and directors, auditors, lawyers, and others interested in the field. The main focus of our interest was on board structures and processes, the roles of executive and non-executive directors, the reality of strategy formulation, as well as corporate regulation and accountability. Such matters are commonplace today, but then corporate governance codes, compliance reports, and the other paraphernalia of modern corporate governance did not exist. The initial approach I adopted involved the exploration of the frontiers of knowledge on the topics, discussions with board chairmen and other directors, round-table discussions with directors from different companies, and seminars and conferences. We invited Harold Williams, the Chairman of the Securities and Exchange Commission from Washington, who gave an American perspective on corporate regulation. Another conference, run with the Anglo-German Foundation, looked at the control of the corporation from the perspective of various stakeholders, outlining the German experience of supervisory boards and worker directors. 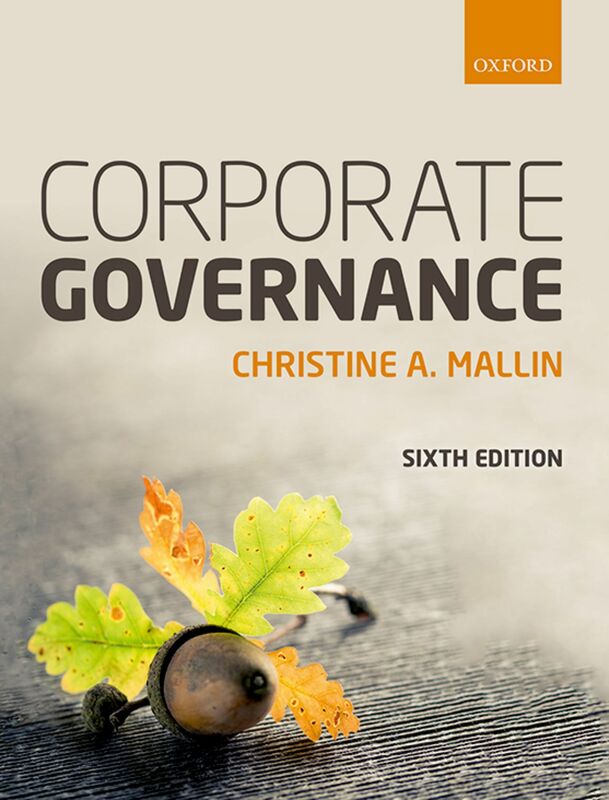 As the project progressed, I developed two research exercises about the structure and style of boards, and about management and governance relationships between subsidiary and holding companies, which provided the basis for a book – Corporate Governance – the first to use that title. The main findings were, firstly, that there were many opportunities to improve performance and effectiveness. Secondly, the way many business entities operate in society no longer reflected the underlying nineteenth-century legal model of the corporation, and consequently there was a need to rethink the underlying conceptual framework. The Trustees of the Corporate Policy Group suggested that the findings published in Corporate Governance should be developed into another book of practical insights for directors. Unfortunately, one of my findings had been that practicing directors had little time for reading books, so the material formed the basis of short courses for the Institute of Directors in London and other programmes I ran in Australia, Singapore, and Malaysia. One evening at dinner at Nuffield high table, a guest sitting opposite asked what I did. I said I had just written a book. Silly really, because so had everyone else at that table. ‘Really, what is it about?’ he asked politely. Turned out he was a visiting Professor of English. Although he was not entirely correct: Harold Wilson, British Prime Minister (1916–1995) had written a book in 1977 with the title ‘The Governance of Britain’ . But that was about the governance of a country, not a company: corporate governance was new. The visiting professor was right about Chaucer, however. Turns out Chaucer did coin the word governance, although he couldn’t quite decide how to spell it (gouernance, or governaunce).